Anyone have any recommendations for a gear bag to keep on the back rack of my bike? I have no idea what rack is on my bike, but it’s pretty big. I don’t technically own any “gear” to speak of yet anyway, but the bike looks weird with an empty rack on the back. Wolfman makes some nice bags. 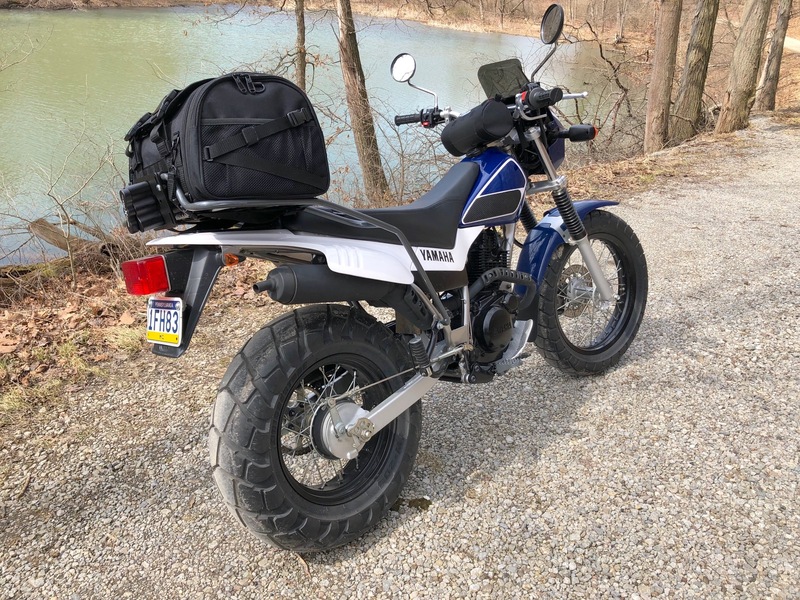 I like Kriega bags, but I use them on various bikes so I’m partial to them. Can’t go wrong with Wolfman or Giant Loop bags either. Tons of great options out there with a very wide price range. Give Revzilla a browse. texasstubs and troll like this. 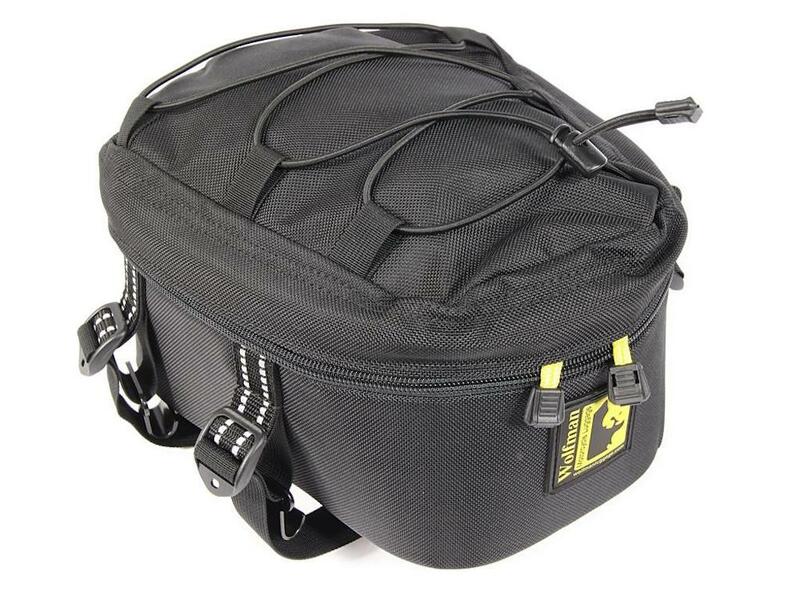 I just got a Saddlemen TR2300DE Tactical Deluxe Rack Bag. Hard to imagine a nicer or more practical bag. Mine is mounted on a Cyclerack. They make a smaller version too. Dryden-Tdub and RaZed1 like this. 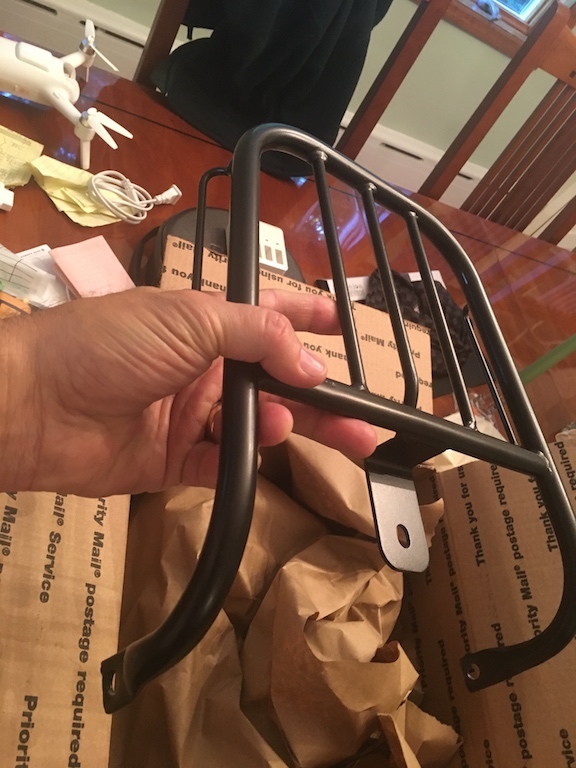 I have the Cyclerack also (if it's a larger gray rack it's most likely that one, the OEM rack is black and relatively small). I ended up putting a Chase Harper "Ripstream" tail trunk on it, which fits nicely and is pretty low profile. Nice quality- you can find it for well cheaper than their website if you shop around. It's on the smaller side (a 12 pack of beer fits in the main compartment but not much more), but for general running around town I find it's generally sufficient. Can stash a sweatshirt, goggles, gloves, ect easily. Great for cell phone, wallet, etc. I have a Cyclerack on my TW and have a Pelican 1450 case on it. But believe me, if I didn't... ANYTHING would fit fine on that rack it's so frikken big. My "Mule Bike". 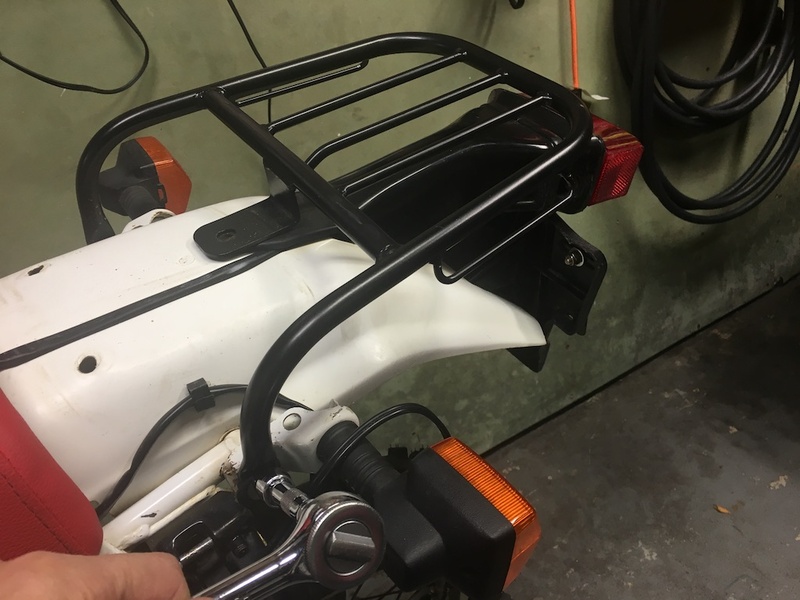 I have a Manrack on my Honda XR and it is a very small platform. Finally decided on the Wolfman Peak Tailbag though I did not receive it yet. Not too small but definitely not to big at all. That bike is not really meant to carry much but a rider fast through the woods so was looking for a small day-bag. I already have a couple other products by Wolfman and they are top-of-the-line. $Spendy$ too but I think worth it. 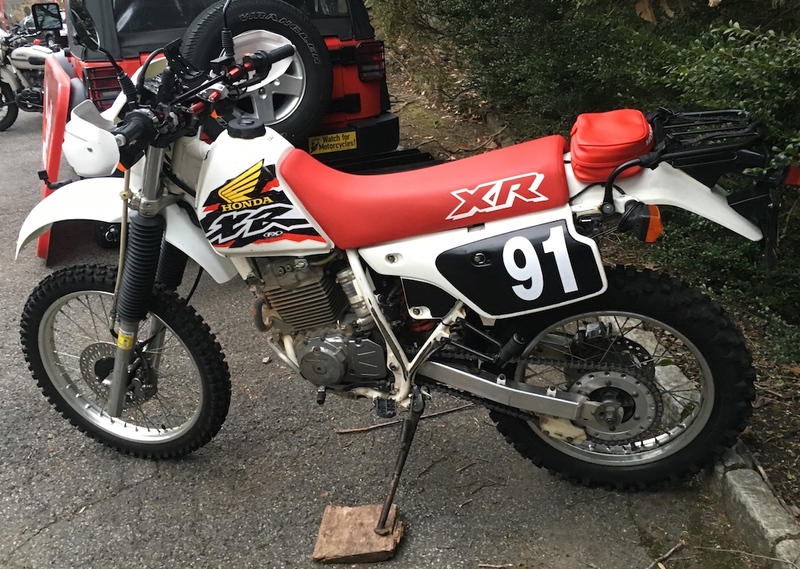 Manrack for the 28 year old XR is pretty darn small. From back in the day when riders just brought a pack of cigarettes, matches & and maybe a leftover Turkey sandwich (ha). JerseyJeeper and Dryden-Tdub like this. Mike, was that 91 number on your plate 2 weeks ago? No, but people keep asking me what year it is... is it a new model? HaHa. Great-Grandaddy of today's CRF250L. I might add a little hyphen to make it more obvious. Since I'm stuck at work the next 2-3 weeks I'm going to take the rusty oem header off later today (if I can without busting the studs), strip/clean/paint it and that's it. I don't want to make this old girl too nice that I won't want to ride it in the woods. Last edited by stagewex; 03-30-2019 at 11:37 AM.